I am so excited to show you my project feature for Some Odd Girl!! It has been so hard keeping these cuties hidden away. 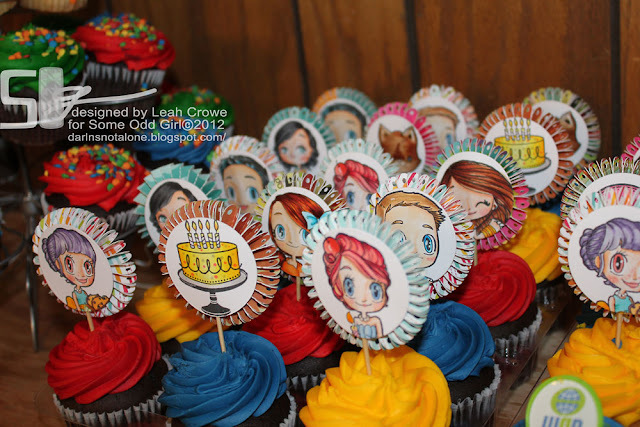 My children celebrated birthdays on Feb. 20th and March 9th, but they shared a birthday party on Feb. 25th and I created these with a birthday in mind. 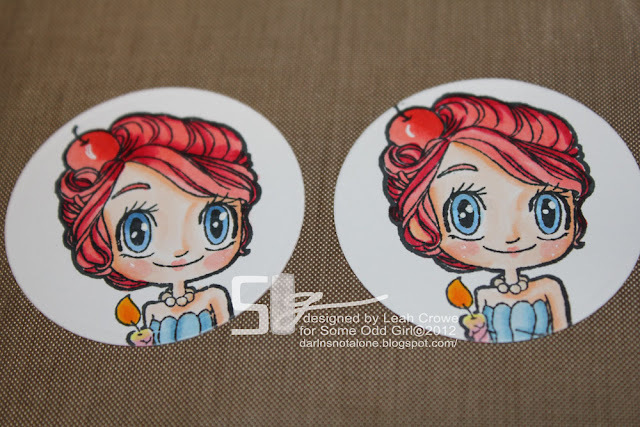 I started off by using my Bigshot and Nestabilities circles cutting out 1 7/8" circles with Copic X-Press it paper, then I stamped my favorite Some Odd Girl images in the circles using Memento ink. 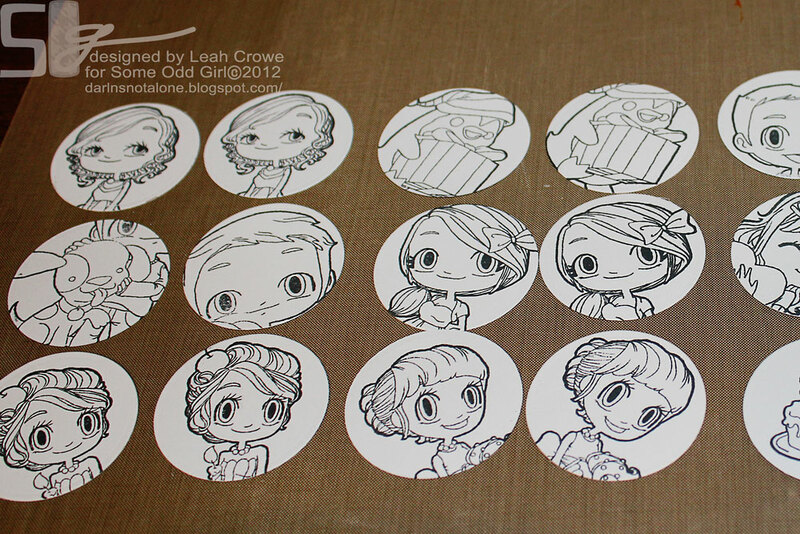 I stamped 8 pairs of images. I knew I would be putting quite a bit of time into these... 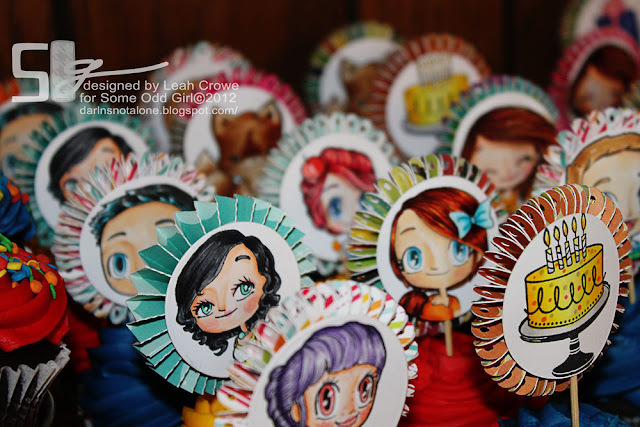 I not only wanted cuteness, but functionality... enter in the idea to turn these cute toppers into a Matching Memory game. I hope you've enjoyed this project feature, hop on over to the Some Odd Girl blog to see other fabulous ideas using Some Odd Girl products! Omygosh! These are sooooooo cute cute cute! 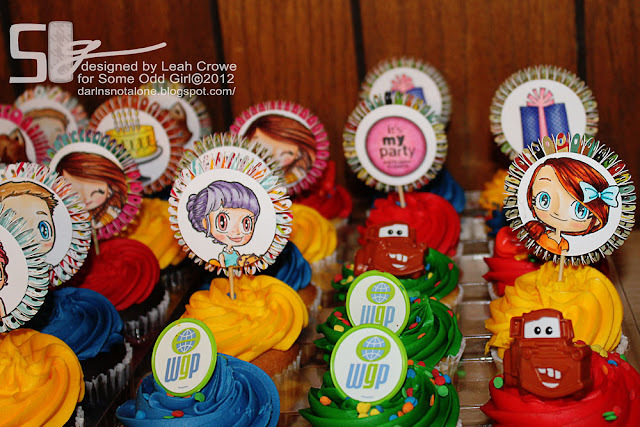 wow wee Leah these are so darn cute...I love this idea...you are amazing..
How super fun and creative! Wow, have you considered adopting? I would love these! Although I'm 31 and I love my mum too.... still.... awesome toppers! Beyond awesome! Love the ideas!